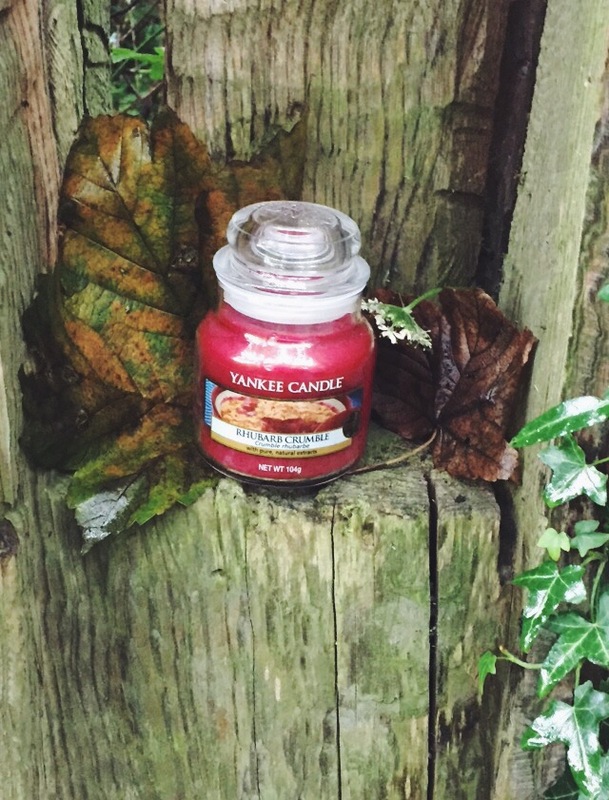 Yankee Candle's New Harvest Time Collection! 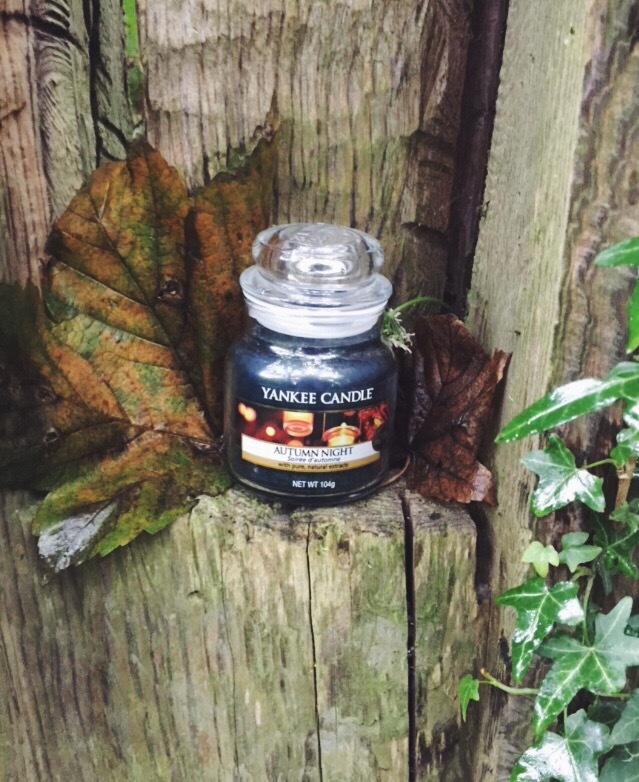 This is my second collaboration with Yankee Candle now and I honestly just love their candles so much, I buy them all of the time! So every time I get an opportunity with them I’m just so uncontrollably excited about it, YES! And this time, I’m collaborating with them for their BRAND NEW Harvest Time Collection!! *squeals*. This is honestly like my two favourite things, Autumn and Candles, wow, excitement. Ok, so the first product that I opened that they sent me is this Ebony and Oak jar candle. This is part of their ‘Fresh’ collection. The scent is, definitely, very fresh and it reminds me of like modern living rooms with cream carpets, magnolia walls and oak furniture, which I guess it is supposed to as one of the scents is oak! To be honest, I don’t really like woody scents, I don’t know why, they’re just not really my thing. This candle smells great and would smell amazing in a living room, just not my living room I’m afraid. Although, it is growing on me the more I smell it. The next candle I opened is this, Autumn Night. I was quite excited to smell this candle as I’m intrigued as to what they were going to portray the smell of autumn nights to be, and I have seen quite a bit of a stir regarding this particular candle online! This candle is also part of their ‘Fresh’ collection, but this one is much more appealing to me. The smell of this candle is very musky and does actually remind me of night time, as well as smelling a bit like after shave, but I quite like that. It does actually smell a bit like a bonfire and toffee apples, so it is definitely very applicable to Autumn and I really love this one, yay! Next up was Honey Clementine. 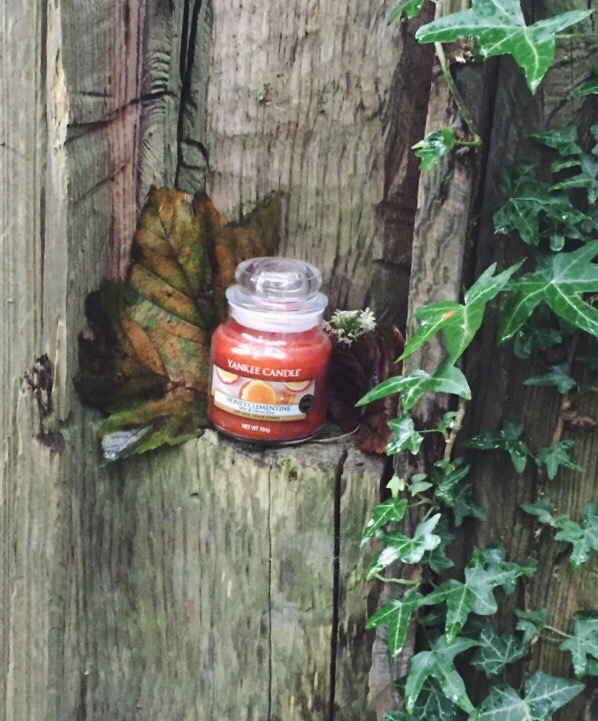 I don’t really understand why this is in the Harvest Time Collection, honey and clementines aren’t that Autumnal to me, but I do quite like this candle. This is a part of their ‘Fruit’ range and the scent of the clementine does overpower the honey quite a bit, but the scent is fresh, light and pleasant. I feel like this particular candle would be perfect in a kitchen due to the fresh fruit scent, and I would definitely put it in my kitchen if I didn’t share it with 5 other people! This last candle is like my ultimate dream come true. 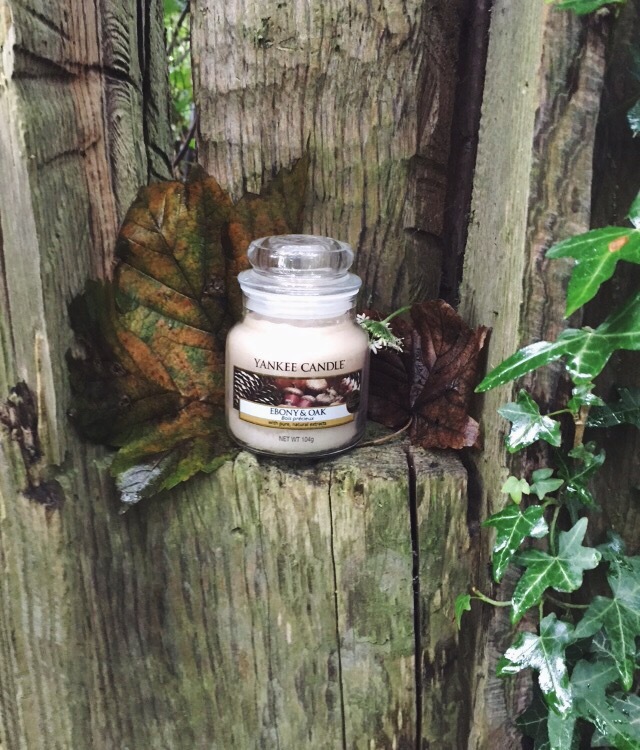 The Rhubarb Crumble candle. This candle smells beautiful. This candle smells beautiful. This candle smells beautiful. Although I don’t like to eat rhubarb, it is one of my favourite scents in the world because I just find it so homely and versatile, it can fit in pretty much any room of the house! And wow, this candle scent is realistic! It’s a bit crazy how realistic actually! This has DEFINITELY become one of my favourite Yankee Candles, wow, I just love it. I can see myself burning this candle a lot this winter (when I’m home from uni). So, out of the four, I’m not a big fan of the first scent, but I can understand why other people will be. But I love the other three and I’m so excited to burn them this Autumn. Thank you for reading and thanks again to Yankee Candle for this collaboration. I must say you have high quality content here. Your page can go viral. You need initial traffic only.